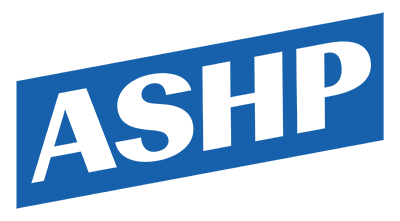 The grassroots organization, People for Fair Trade, sought to mobilize a mass turnout to protest the 1999 World Trade Organization (WTO) meetings in Seattle, WA. 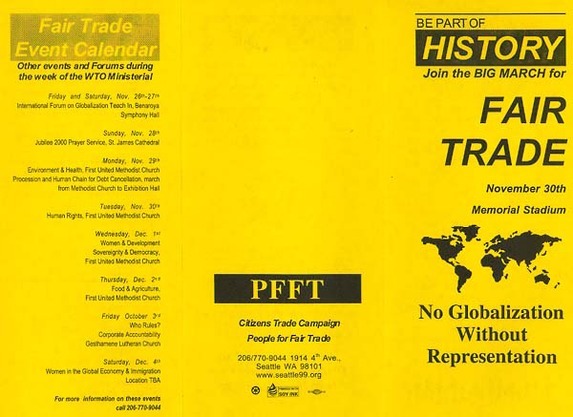 This flyer, "No Globalization Without Representation" was part of their efforts. 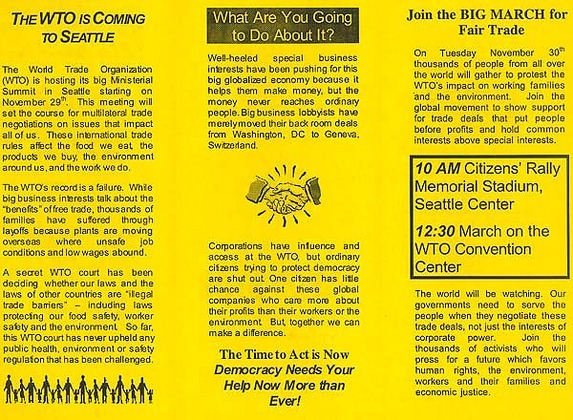 Cite This document | People for Fair Trade/Network Opposed to WTO (PFT), “Flyer for WTO Protest in Seattle,” HERB: Resources for Teachers, accessed April 21, 2019, https://herb.ashp.cuny.edu/items/show/1150.